In the event that the school is forced to close due to bad weather, a notice will be placed on the home page of the website by 7am that day. Information will also be placed on Twitter (@crispinsschool) and Facebook (St. Crispin’s School). In addition to this, BBC Radio Berkshire and Heart FM will be notified and a notice will also appear on the Wokingham Borough Council’s website. To view details of the school day – please click here. 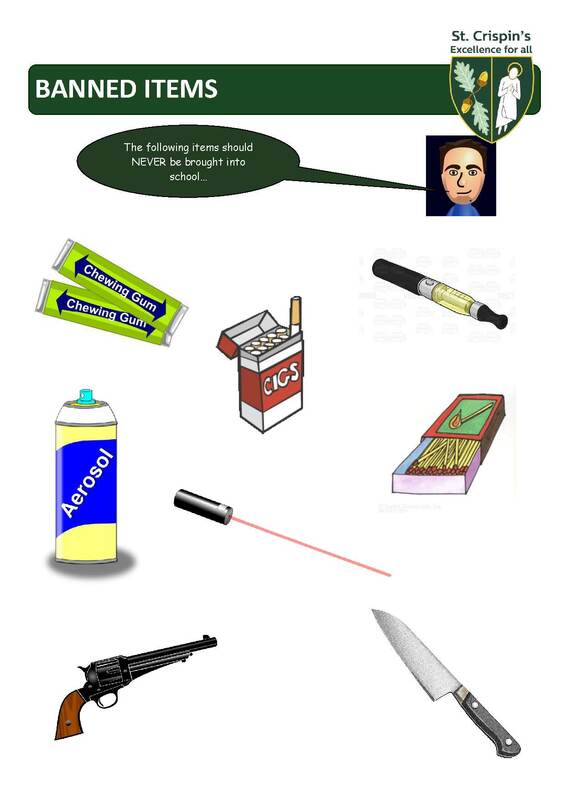 Confiscated items – please click here. 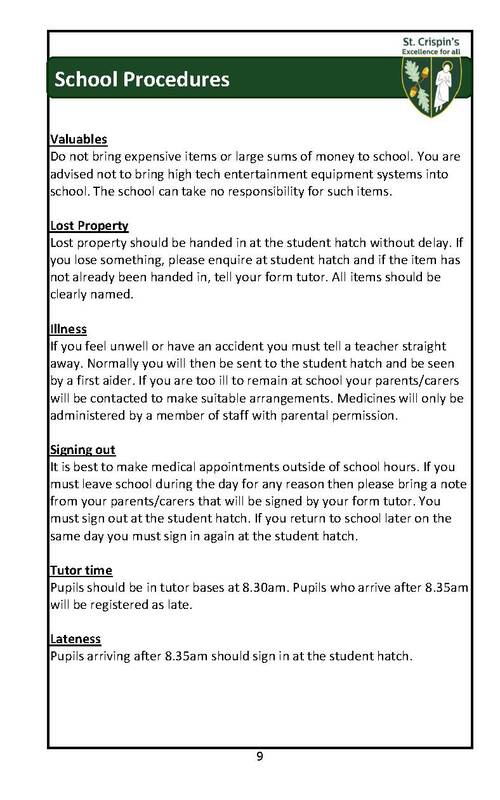 Student School regulations – please click here. Mobile phones may be brought into school. They must not be used in lessons unless the teacher requests their use as part of a learning activity. The school cannot take responsibility for phones and if this is a concern they should not be brought onto the school site.